National Union of Rail, Maritime and Transport Workers v Serco (t/a Serco Docklands)  EWCA Civ 226 – read judgment. 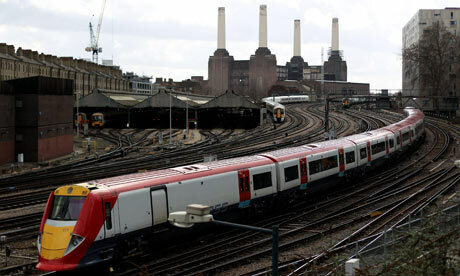 Aslef and RMT rail unions have succeeded in challenging injunctions that blocked their strike action over small faults in procedure. The Court of Appeal has ruled that minor mistakes in balloting such as polling non-constituent workers – did not justify the injunctions that had prevented them from taking strike action. Trade union leaders have called the ruling a “major step for industrial freedom”. Two strikes that were planned separately – by the RMT on London’s Docklands Light Railway and by Aslef on London Midland – were halted by injunctions in the High Court in December. The judge ruled that strike ballot procedures had not been properly followed and therefore the unions would be unlikely to claim the statutory protection for the action immunity under the Trade Union and Labour Relations (Consolidation) Act 1992 Pt V. The Court of Appeal has decided that ruling was wrong in law. (1)	The judge should have found that their error in balloting two members who had not entitlement to vote was merely accidental and that therefore this failure could be disregarded under Section 232B of the 1992 Act. (2)	The judge was wrong to have held that the figures provided by the unions were not as accurate as reasonably practicable in the light of the information at the time. (3)	Alternatively, even if there was a breach of the duty to provide accurate figures, the breach was de minimis and should have been ignored. (4)	The judge erred in concluding that the explanation given for arriving at the figures was inadequate. (5)	The judge was wrong to find that the explanation was inaccurate and misleading because of the claim that the union records had been audited. (1) There was a distinction between the entitlement to vote and the opportunity to vote. Whilst the opportunity to vote was given to two members when it they were not entitled to, this was an accidental error and therefore there was a defence under Section 232B of the Act. The High Court had been wrong to hold that to be “accidental” within that provision an error had to be both unintentional and unavoidable. There had been evidence before the court that the union had believed that it was balloting the relevant train drivers and no-one else. Because of human errors and failings, it did not achieve that objective but extended the vote to two members not entitled to it. Section 232B was designed to cater for precisely that kind of case. By concluding that these errors could not properly be described as accidental, the judge effectively set a standard of perfection which wholly frustrated the purpose of the section. (2) The information given by the unions in the ballot notification and strike notification was as accurate as was reasonably practicable given the information in its possession at the material time. The judge had therefore erred in law in holding that the appellant union was under an obligation by virtue of the notification duty under s.226A and s.234A to obtain further information or alternatively to set up systems to improve its record keeping. (3) The de minimis doctrine was available and would have applied in circumstances. (4) The appellants had complied with the relevant code of practice relating to the accuracy of union records and thus had fulfilled their duty to explain how the information provided to the employer under s.226A and s.234A were arrived at. (5) More information could have been provided, particularly with respect to the other members not covered by the check-off arrangement, as the Court of Appeal held in Metrobus v Unite  ICR 173. However, the explanations actually given were sufficient to meet the statutory standard. The phrase “auditing and updating” used by the unions in the notices was a fair description, albeit not the best description, of the ballot-specific review and updating of their databases carried out by the unions in addition to the usual updating. The UK takes cognition of such a right, as conferred by Article 6 of the Council of Europe’s Social Charter and the ECHR’s protection of freedom of association under Article 11(1). However the latter is heavily qualified both by the “clawback” provisions in Article 11(2) and by the case law of the Strasbourg Court, and the operation of the former in UK law is debatable – see our earlier post on the UK “opt out” to this part of the Charter. a legitimate approach, if it ever was. In my judgment the legislation should simply be construed in the normal way, without presumptions one way or the other. Indeed it was argued on behalf of the two unions that the detailed complexity of the balloting provisions, as interpreted by the judge below, and their unnecessary intrusion into the union’s processes, involved a disproportionate interference with the Article 11(1) right. But in the end this judgment was not framed in terms of any of the international instruments involving the right to strike, and so it is an inaccurate reflection of this outcome to claim that it somehow enhances the “fundamental rights of trade unions and their members”. It may buck the recent trend of courts ruling against collective action due to small mistakes in the balloting process, but the ruling does nothing to disturb the way statute and common law have sought to achieve a balance between the law’s protection of economic autonomy and collective labour rights. The EU Charter: are we in or out? Thank God for this judgement! If every piffling little error is going to make strike action unlawful then we will have arrived at the same place as the Nazi state albeit by the back door. Workers were not permitted to strike in Nazi Germany.